The professional archiving of emails is not just a question of meeting the legal regulations. What is much more important is the efficient storage and retrieval of electronic email traffic for the course of business. Time and again, „old“ emails are required to access earlier processes. 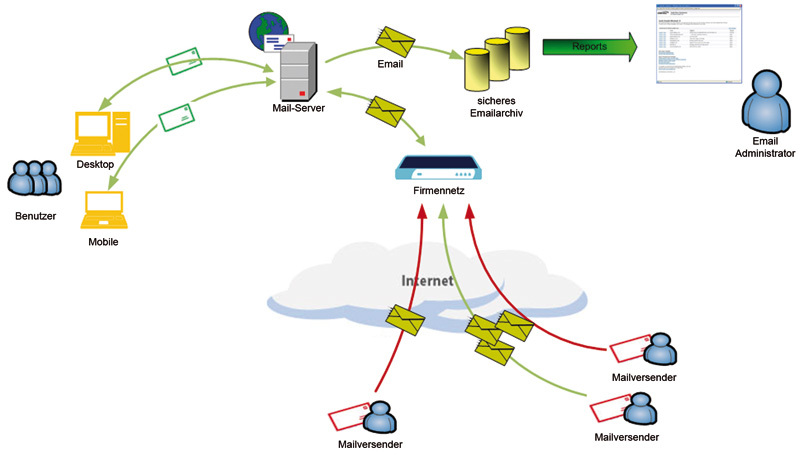 Also for supporting any possible arrangements and for contracts and legal disputes it might be possible that the entire archiving infrastructure is amortised by the finding of one single email.